Although tourists flock to the medieval castle on the opposite hill, Western Heights goes largely unnoticed despite it being a much larger fortification. Work started on the structure during the 1780s and continued until the end of the Napoleonic Wars. The fortifications were upgraded and expanded in the 1860s. 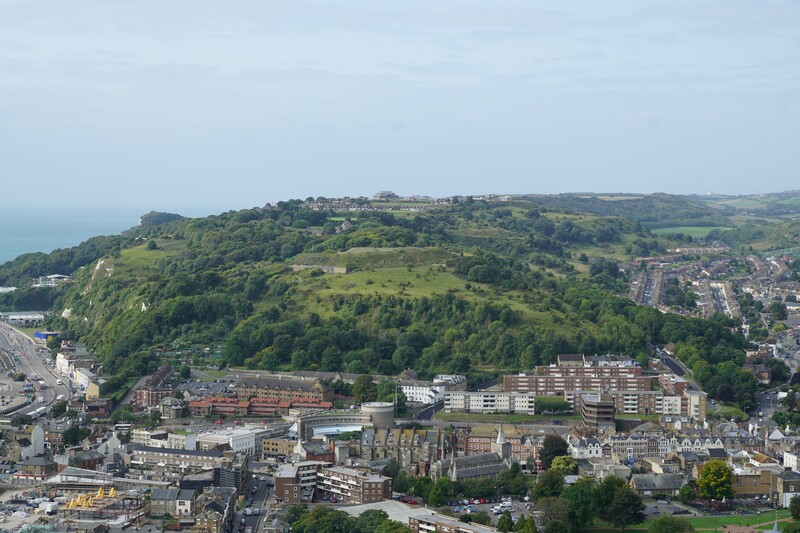 Western Heights is an elongated hill that overlooks the Dour valley, the port of Dover and English Channel. The Romans built a lighthouse on the site no later than the second century AD and also constructed similar structures on the hill to the east (site of later Dover Castle) and at Tour d'Odre in Boulogne. Together these provided navigational marks for vessels and would have been lit at night. 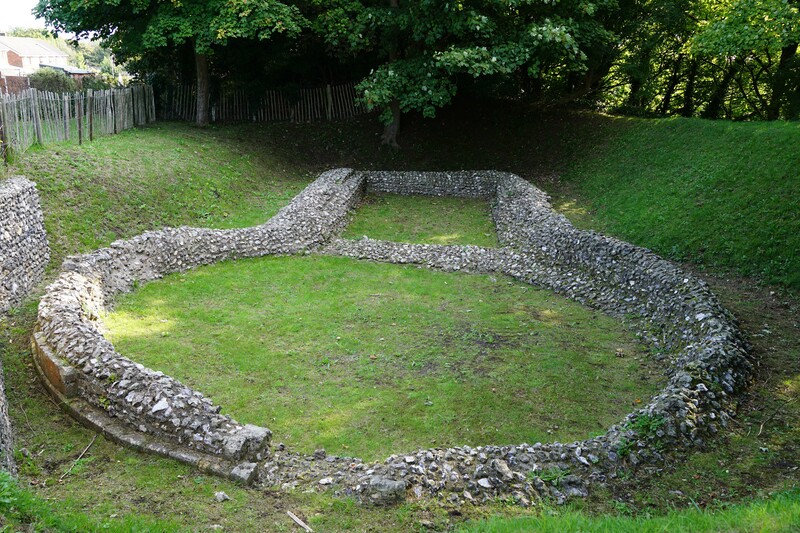 However, the Romans chose to build their fort on the lower ground beneath the Western Heights. In the medieval period, Dover Castle was built on the hill overlooking the other side of the River Dour. Accordingly Western Heights remained unfortified until the late eighteenth century. The eighteenth and early nineteenth centuries saw regular conflicts between Britain and France culminating in the Napoleonic Wars. 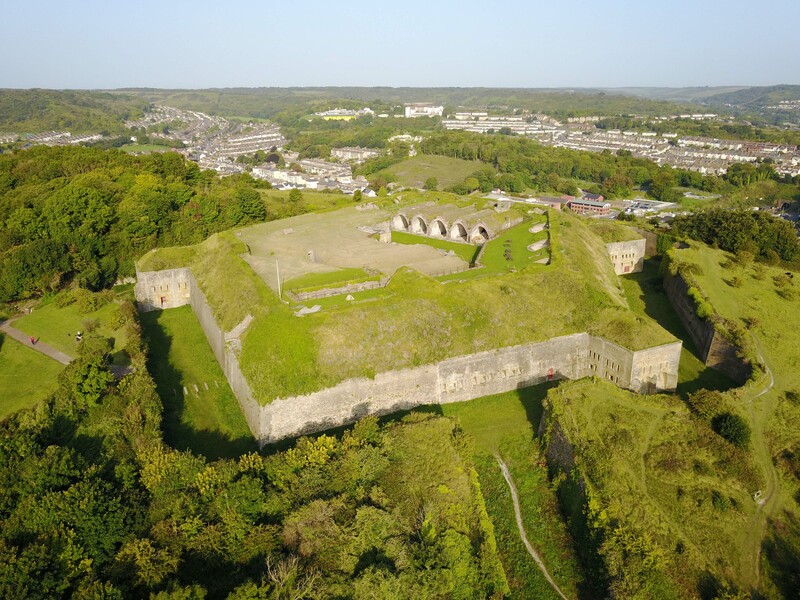 Around 1780, alongside upgrades to Dover Castle and Archcliffe Fort, work started on a substantial new fortification on the Western Heights. The centrepiece of the new facility was the Citadel which was situated on top of the highest part of the hill. In 1790 this was augmented by the Drop Redoubt, a pentagonal fortification constructed to secure the eastern summit of the hill. It was equipped with fourteen guns and a garrison of 200 men. 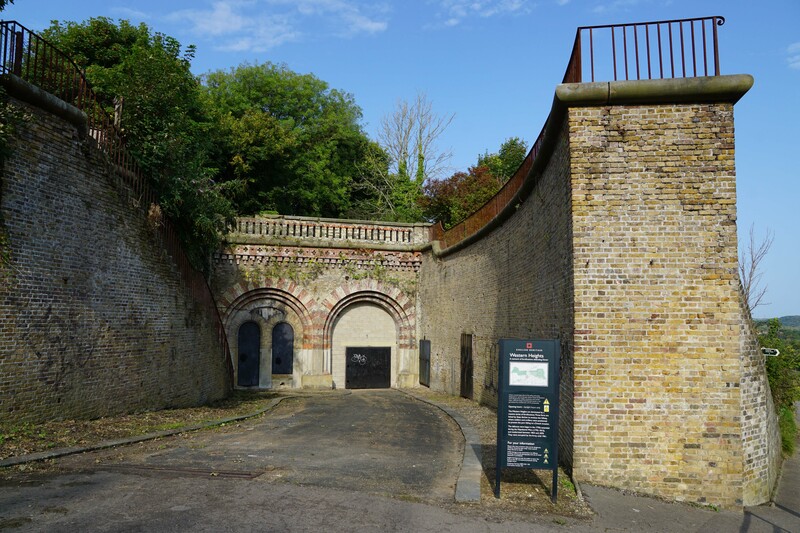 The North Centre Bastion, which included a Detached Bastion, was started in 1804 and designed to defend the northern land approaches to Dover along the Folkestone Road. 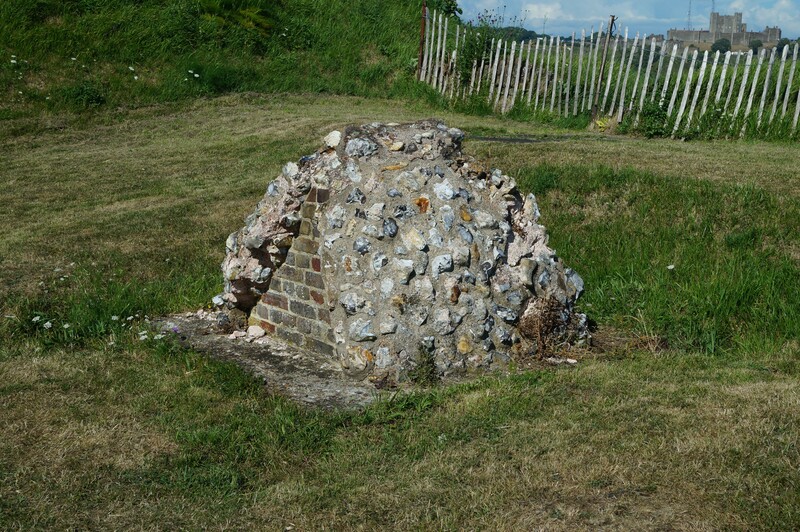 This element of the fortification was still under construction when the Napoleon was defeated at the Battle of Waterloo (1815) ending the wars. The end of the hostilities in 1815 saw all work stop on Western Heights. However, the accession of Napoleon III in 1852 resulted in fears about French re-armament. 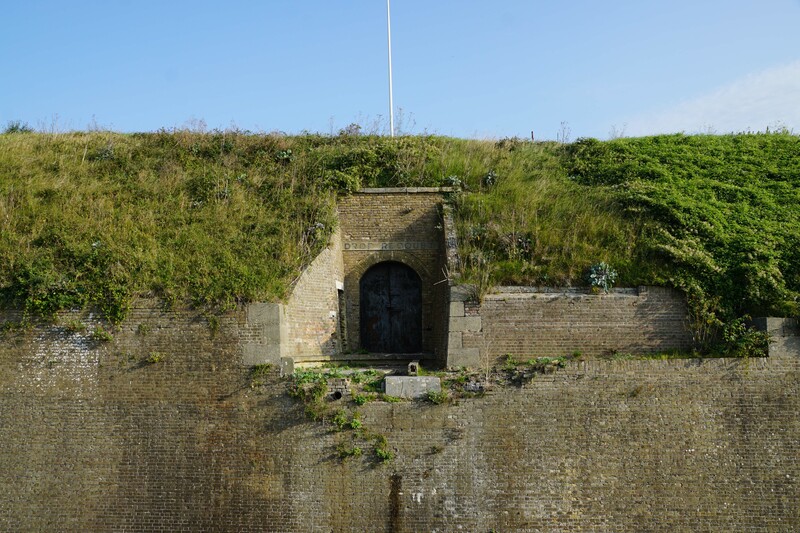 The defences of Dover were re-assessed and a new facility, Fort Burgoyne, was constructed to protect the landward approaches to Dover port at this time. However, the bulk of the new defences were located upon the Western Heights. Work resumed on the abandoned Napoleonic fortifications with the existing structures either rebuilt or reinforced as required. Furthermore the defences of the Citadel were enhanced with the construction of the Western Outwork. 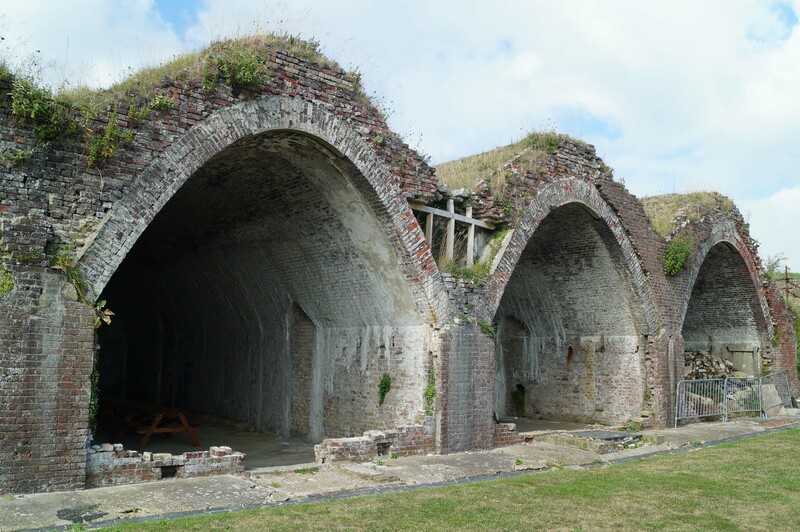 This polygonal work protected the western approaches to the fortification and was originally designed to be equipped with eighteen guns in casemates and a further twenty-seven on open emplacements. 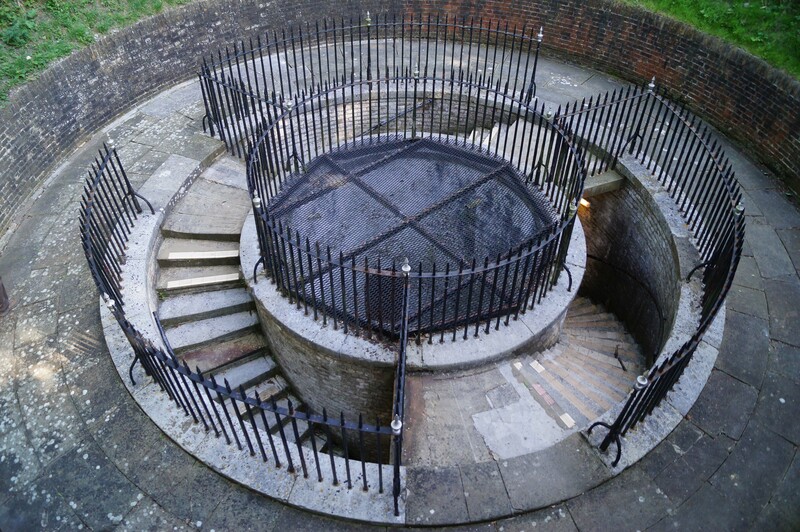 It was surrounded by a dry ditch that was protected by a double caponier. The upgrades to the Western Heights were largely complete by 1864 by which time the facility was configured for 160 guns and capable of garrisoning a force of up to 4,000 troops. Developments in artillery led to the construction of a new gun position, St Martin's Battery, in 1877. This was equipped with three 10-inch Rifled Muzzle Loading guns. Dover was a key port during the First World War through which the British Expeditionary Force departed for the continent. In addition to its coastal defence role, the Western Height facilities were used as a marshalling area and transit facility. During the Second World War, the rapid defeat of the Allied forces in Summer 1940 meant the English Channel became the frontline between Allied and Nazis forces. 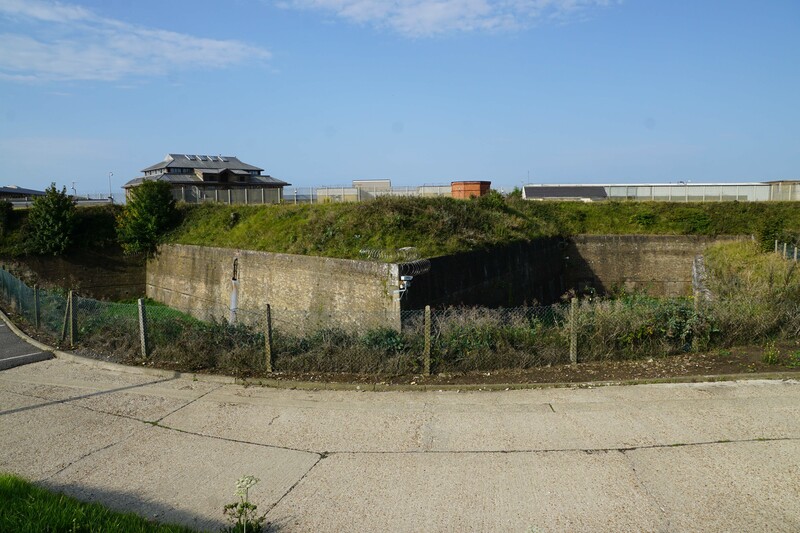 Western Heights retained its coastal defence role throughout the conflict and its defences were augmented with a machine-gun nest and range finder. The site was decommissioned in 1956 and thereafter the army withdrew from the site. The Government still retains control of the Citadel and it is currently in used as an Immigration Detention Centre. Brindle, S (2012). Dover Castle. English Heritiage, London. Coad, J (2016). 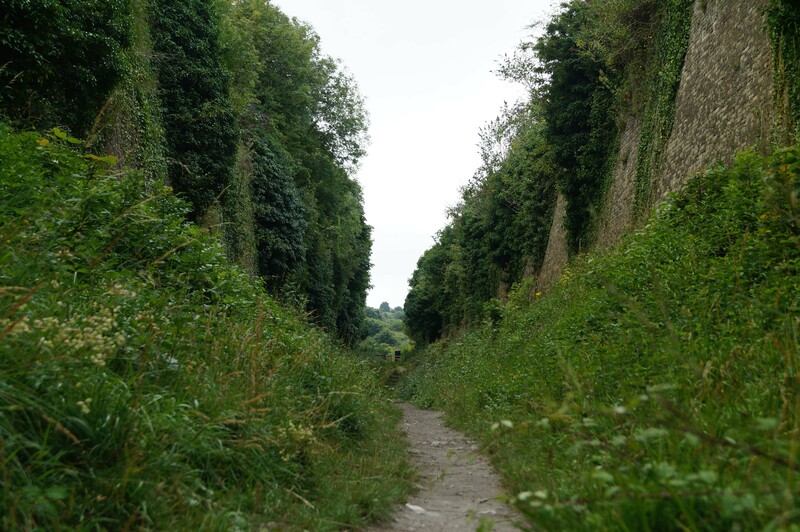 Dover Castle: A Frontline Fortress and its Wartime Tunnels. English Heritage, London. Dyer, N (2011). British Fortification in the late 19th and early 20th centuries. Fareham. Mead, A (2013). Hitting the Heights. Western Heights Preservation Society. Saunders, A.D (1966). Coastal Defences since the introduction of artillery. 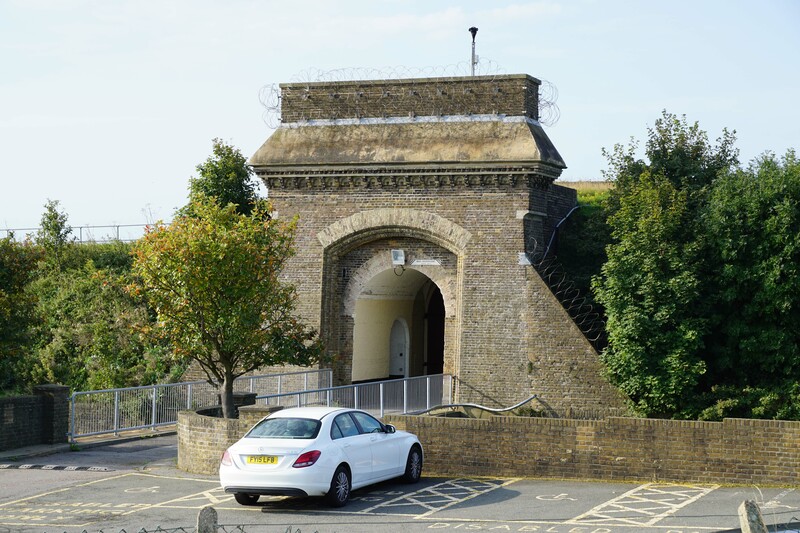 - Drop Redoubt: In the care of English Heritage and the exterior can be viewed but there is currently no routine public access into the interior. - North Centre Bastion: Interior has been extensively modified and is accessible via a series of public roads. - The Citadel: In use as an Immigration Detention Facility and therefore there is no public access to interior. Western Heights Plan. The Western Heights overlooks the town and harbour. The Romans built a watchtower on the site in the first century AD but thereafter it remained unfortified until the 1780s. At that time, work started on a vast fortification that occupied the summit. 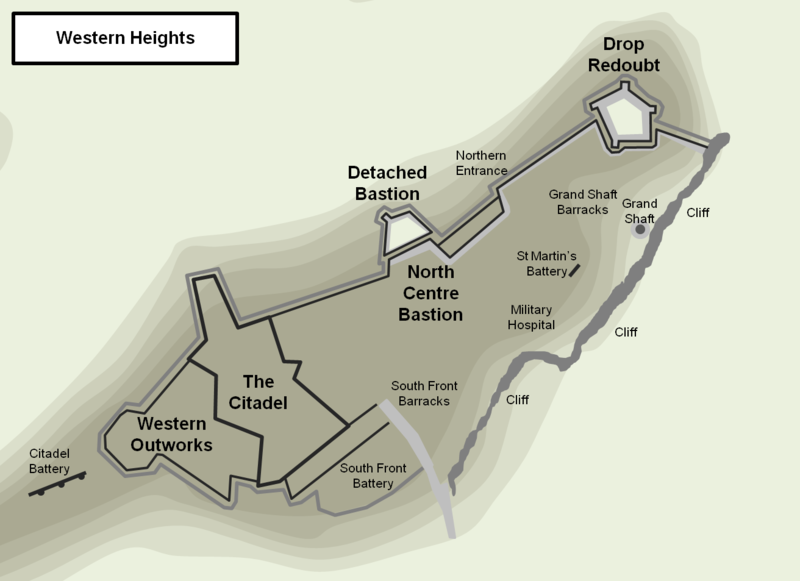 It consisted of three primary components; the Citadel (including the Western Outworks), the North Centre Bastion (including the Detached Bastion) and the Drop Redoubt. Western Heights. The defences as seen from the west. The Drop Redoubt is in the foreground on the right. The Citadel can be seen top, left of centre. Western Heights. The defences as seen from the east. The Citadel can be seen in the centre. The brick building was the Officers' Mess. The Citadel. The Citadel and Western Outwork both form part of an Immigration Detention Centre so public access is limited. North Entrance. The north entrance into the fortified Western Heights (as viewed from inside the fortress). Drop Redoubt. The Drop Redoubt was designed to serve as a Keep into which troops could retreat if the Western Heights were overrun by enemy forces. Caponier. Four caponiers were built around the Drop Redoubt to enable the defenders to fire into the dry ditch that surrounded the site. Accommodation. 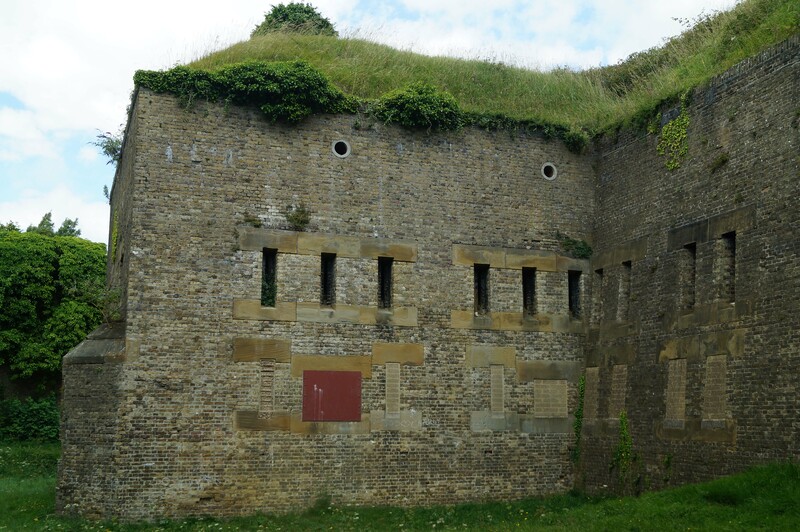 The Drop Redoubt incorporated five case-mates which provided accommodation for the soldiers. Dry Moat. The Drop Redoubt was surrounded by a deep dry moat. Roman Lighthouse. The Romans built a lighthouse on the Western Heights. It was one of three, the other two being at (the site of) Dover Castle and Tour d'Odre at Boulogne, which enabled ships to determine their position in the channel. The foundations are found within the Drop Redoubt. Dover Harbour. The harbour as viewed from Dover Castle. Western Heights can be seen to the right. The mole stills hosts the (decommissioned but still armed) Admiralty Pier Battery. Grand Shaft. 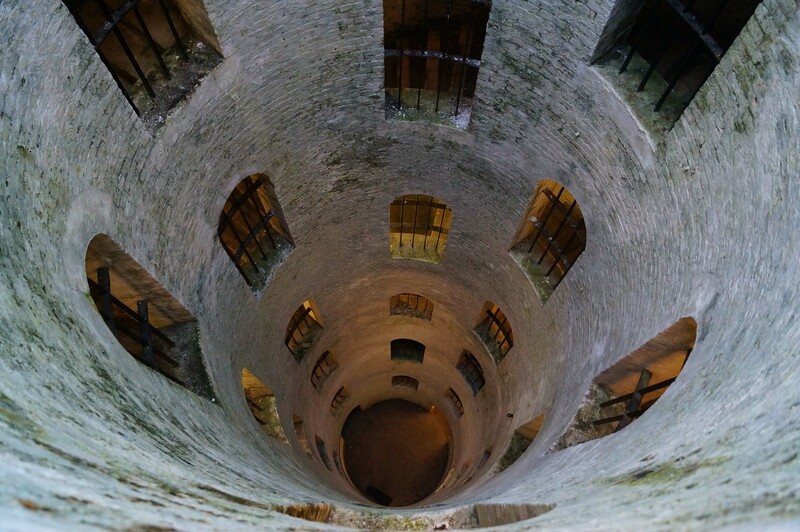 This triple spiral staircase was built in 1804 and enabled troops to travel the 300 metres from the cliff-top barracks down to the water’s edge in significantly less time than travelling the 1.5 miles along the military road. 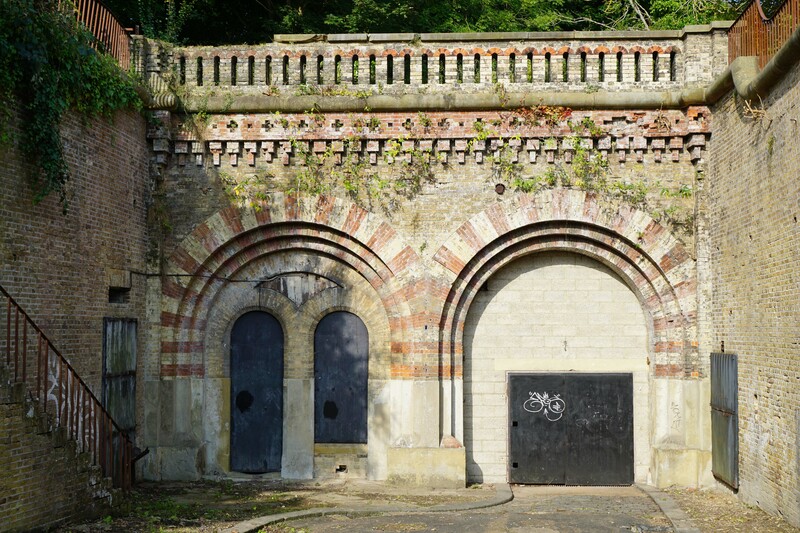 Dover Fortifications. 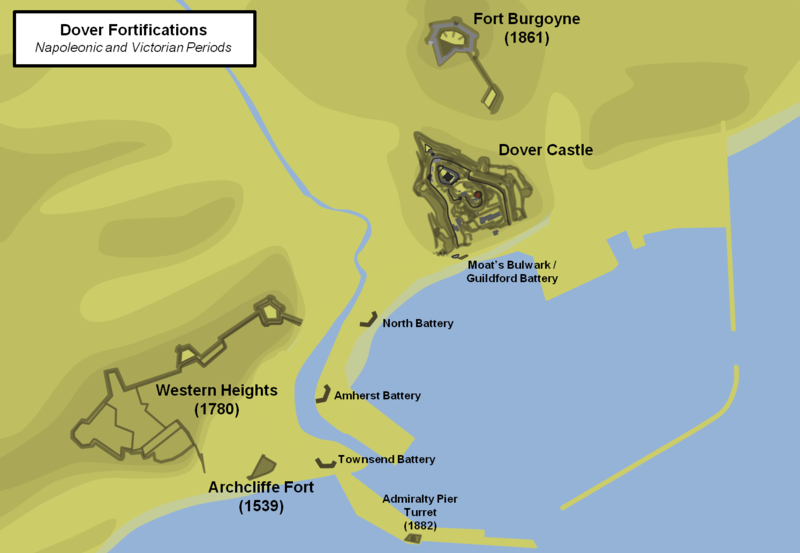 The late eighteenth and nineteenth centuries saw extensive fortifications being built at Dover. Western Heights protected the approaches from the north-west and south-west. Fort Burgoyne guarded against an attack from the north. Dover Castle provided barracks and artillery defences to the south and east. Templar Church. The Templars were an international religious order that owned extensive properties across Europe and used their wealth to fund operations in support of the Kingdom of Jerusalem. Western Heights was one of the first estates they acquired in mainland Britain. Their circular churches were built in imitation of the Holy Sepulchre in Jerusalem. The Western Heights spans a vast area overlooking Dover harbour. A few signs point towards the Heights where there are a number of car parks. One option is shown below.